You can never count out Argentina. You can never count out Leo Messi. Russia 2018 has been a difficult ride for the 1978 and 1986 world champions, and the competition was just four minutes of regulation time away from being denied the presence of the world’s greatest player in the knockout stages. However, it wasn’t Messi but Man United centre back Marcos Rojo who scored the thumping volley that sent the albiceleste into the last sixteen. But the Barça superstar had got things rolling with a stupendous finish after 14 minutes, his first goal in this year’s finals. "We were confident that we would win this game. It's wonderful to have won it this way. It is a well-deserved joy” he said when it was all over. Argentina were also helped by Ivan Rakitic’s Croatia, who despite fielding a team of mainly reserves (the Barça midfielder only came on for the last ten minutes), were able to see off Iceland 2-1. Had the Icelanders won their game, they would have qualified in Argentina’s place. Argentina were staring relegation in the face for much of the game. 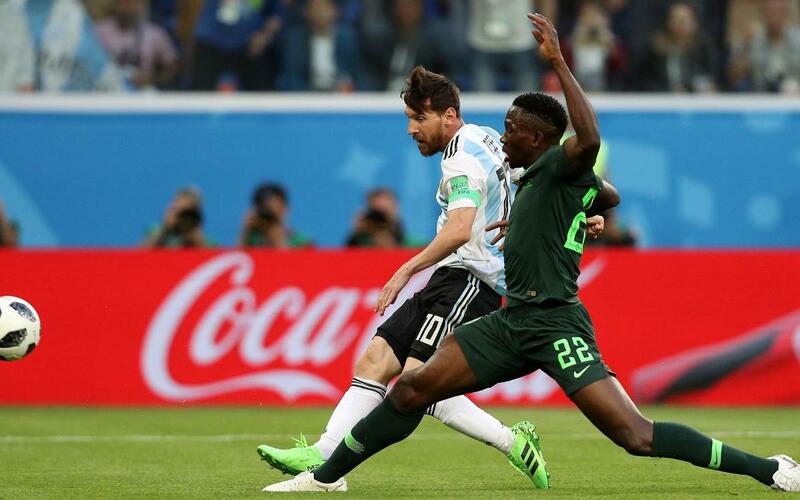 Nigeria only needed a draw to make it into the second round and that’s precisely what they got when Victor Moses converted a 51st penalty, and looked to have earned a second spot kick before VAR determined that the handball had been unintentional. The atmosphere in the stadium was simply electric as the Argentinians urged their team on and on in search of just one piece of magic to keep their tournament hopes alive. And when it came, football fans the world over breathed a sigh of relief. Leo Messi is not leaving Russia quite yet. Next up for Argentina is a last sixteen showdown with Samuel Umtiti, Ousmane Dembélé and France (Saturday 4.00pm CET). Croatia, meanwhile, will be facing Group C runners-up Denmark (Sunday 8.00pm CET). Earlier on in the day, the French, with Dembélé starting but Umititi on the bench, had seen out the first phase with the first goalless draw of the tournament. The game was frankly drab affair between the already qualified French and a Danish side that had no particular need to score either once the news came through that Peru were in command against Australia.